A body of theory has developed about the role and function of memory in creating and maintaining cultural identity. Yet there has been no consideration of the rich Mediterranean and Near Eastern traditions of laments for fallen cities in commemorating or resolving communal trauma. 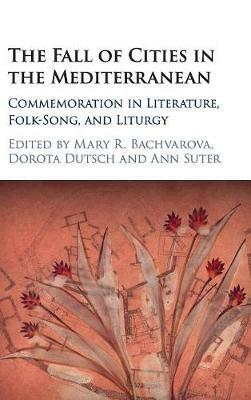 This volume offers new insights into the trope of the fallen city in folk-song and a variety of literary genres. These commemorations reveal memories modified by diverse agendas, and contains narrative structures and motifs that show the meaning of memory-making about fallen cities. Opening a new avenue of research into the Mediterranean genre of city lament, this book examines references to, or re-workings of, otherwise lost texts or ways of commemorating fallen cities in the extant texts, and with greater emphasis than usual on the point of view of the victors.